Dieter M. Kolb studied physics at the Technical University of Munich, where he did his thesis work with Professor Heinz Gerischer on ESR of electrochemically generated radical anions. After receiving his doctorate in 1969 he spent two years at the Bell Laboratories in Murray Hill, NJ, studying the optical properties of electrode surfaces by in-situ reflectance spectroscopy in the UV-Vis range. In 1971 he again joined Heinz Gerischer, then at the Fritz-Haber-Institut der Max-Planck-Gesellschaft in Berlin, where he took a position as a group leader to perform research in electrochemical surface science, using a wide variety of structure-sensitive techniques to study the metal-electrolyte interface on an atomic level. At the same time, Dr. Kolb conducted research on matrix-isolated metal atoms and clusters, including synchrotron radiation studies at BESSY. In 1976 he obtained his Habilitation (university teaching qualification) at the Free University in Berlin, where he was appointed außerplanmäßiger Professor in 1983. In 1990 he left the Fritz-Haber-Institut and accepted the offer of a full professorship at the University of Ulm, where he is head of the department of electrochemistry since then. Professor Kolbs research activities are directed toward a molecular understanding of electrochemical processes on metal surfaces, including surface reconstruction, structural transitions in adlayers, metal deposition and dissolution, structure-reactivity relations in electrocatalysis, and nanostructuring. He is the author of presently over 280 technical papers in refereed journals and books. 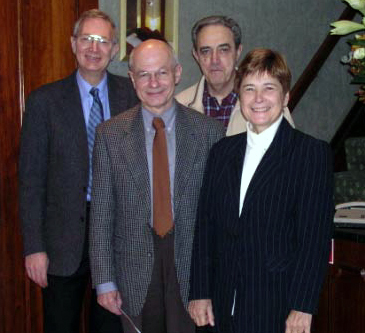 Dr. Kolb has been honoured in the past by being named recipient of the 1980 Haber prize of the Deutsche Bunsengesellschaft, the 1990 Pergamon Gold Medal of the International Society of Electrochemistry, the 1994 Bourke lecture and medal of the Royal Society of Chemistry, London, the 1997 D.C. Grahame Award of the ECS, the 2000 Luigi Galvani medal of the Italian Chemical Society, the 2002 Walther-Nernst-Denkmünze of the Deutsche Bunsengesellschaft, the 2002 Electrodeposition Award of the ECS and the 2003 Faraday medal of the Royal Society of Chemistry. 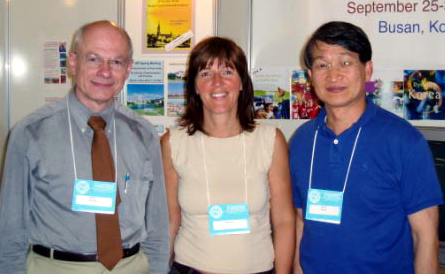 In 2001 he was named Fellow of the Electrochemical Society and from 2003 to 2004 he was president of the ISE.